UFCW Local 919 Leukemia and Lymphoma Society Cash Raffle! 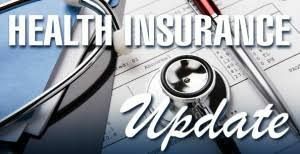 Attention to all eligible insured Members-Important Health Insurance Updates! More precious than all the money in the world is the good health and retirement security of Local 919 members and their families. Our contracts include provisions for pension and health and welfare benefits. The Insurance and Pension Departments are constantly ready to assist you in determining eligibility, issuing claim forms, and answering questions concerning pension benefits, medical and hospital care, dental and optical care, and related insurance problems. At the Local 919 Office, a Business Representative may be con­tacted seven days a week, 24 hours a day to assist you with any problems or questions concerning your work. The Represen­tatives visit the stores to police the contract and to take care of any of the problems related to the working conditions. If you do not see any of the Representatives who service you, please remember that they might be busy somewhere else helping another of your fellow employees. When you call the office, if a Representative is not there, please leave your name, your store number, the company you work for, your phone number at home so someone can call you, and you can rest assured that you will get an answer. Every grievance is thoroughly investigated with the result that many members are reinstated to their jobs and many wage claims are collected in accordance with the provisions of the Agreement. A special service at Local 919 is the Credit Union — a good place to borrow, a good place to save. You may be eligible to obtain a loan at low interest rates to buy an automobile, furniture, ap­pliances, or for a variety of other purposes. The Credit Union also pays high interest rates on your savings (you may open an account now), offering an opportunity for you to gain extra dividends on your savings investment. The Credit Union is a non­profit organization and it is run as a special service for you. To safeguard and guarantee the conditions which your Union contract provides, a staff of experienced and capable Business Representatives continually visit the stores where Local 919 members work. Any problem on the job concerning wages, work­ing conditions, contract interpretations, etc. should be called to your Representative’s attention. In the event of a major problem requiring immediate attention, call the Union office and leave a message explaining the complaint so that action may be taken without delay. 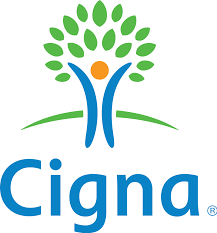 Paid Prescription Benefits, Life Insurance, Medical and Hospitalization Benefits, Vision Care Benefits, Weekly Disabili­ty Benefits for employees, pension plan, scholarship awards. 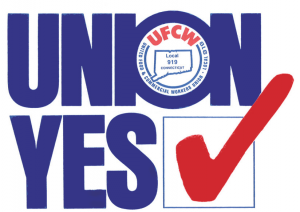 This Union is Your organization! Your participation matters, and our power is collective—we all have each other’s backs. Who doesn’t love a discount? 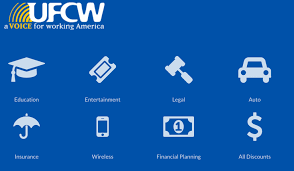 On top of the great benefits you get as a UFCW member, did you know you can also save money on movie tickets and cell phone bills and Theme Park Tickets? PLUS!!! New for 2018 - Gear up for football season! Use your exclusive Union Plus discount to save 10% off NFL tickets and VIP packages. © 2019 UFCW 919, all rights reserved.